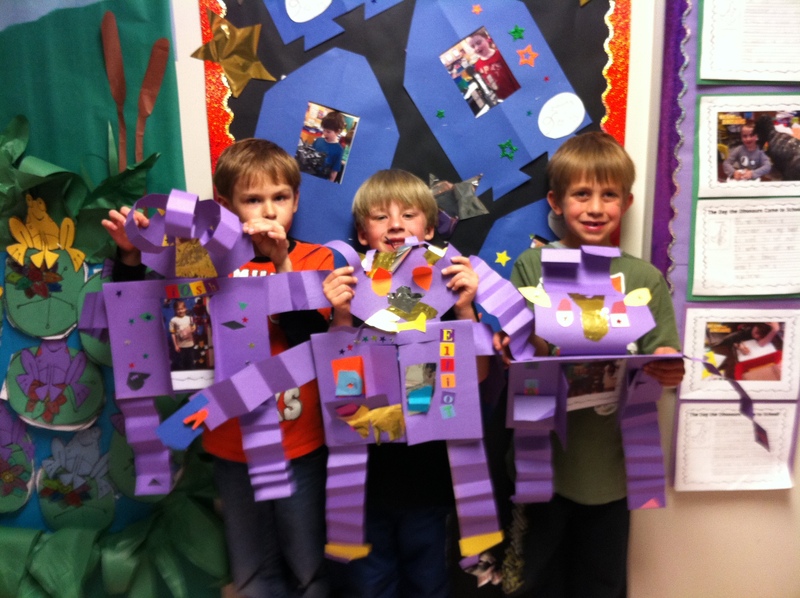 Robots | Mrs. Anton's Class! 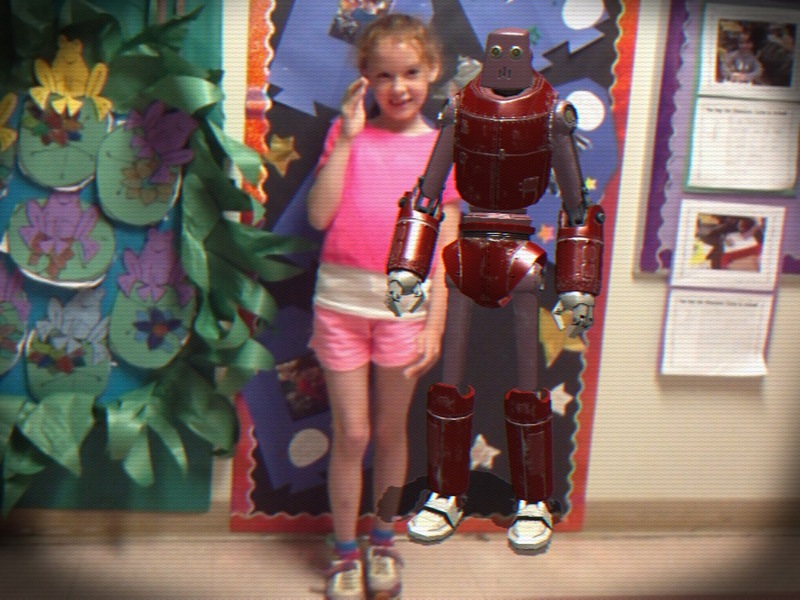 We had a great time this week with a new app called Pop Lock Bot. 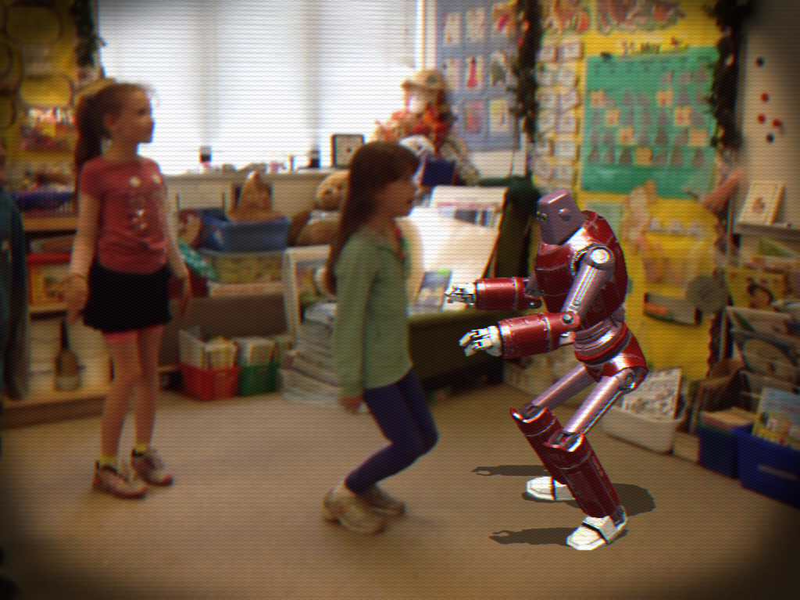 It is an augmented reality app that lets the students dance with a robot! 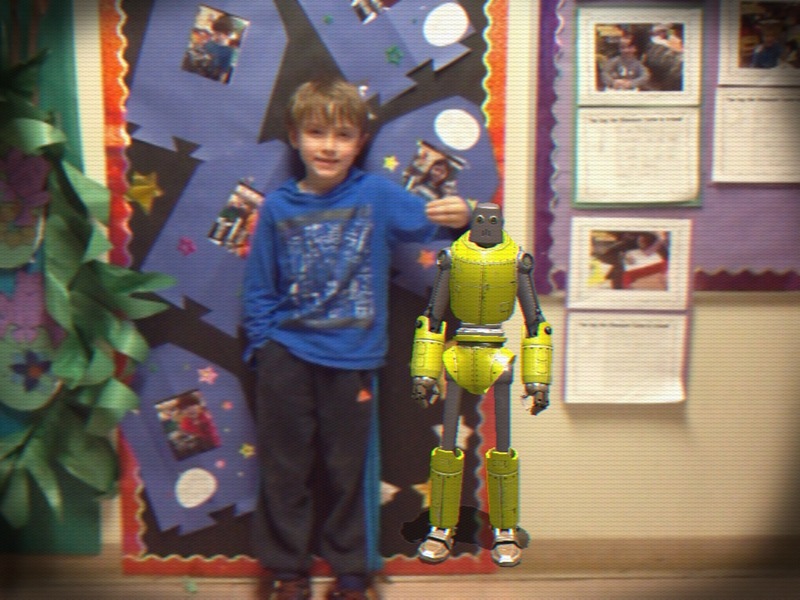 We took pictures of each student posing with their new robot pal! 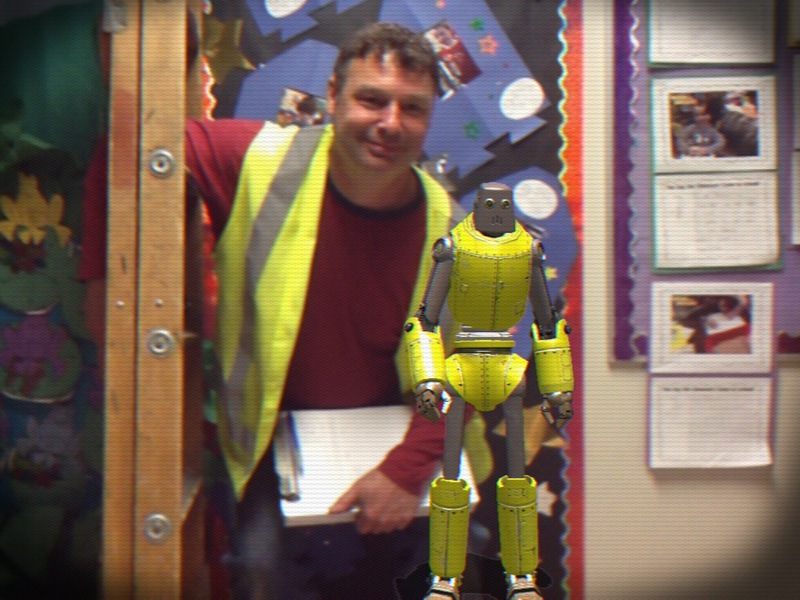 Even the school staff wanted to get in on the act! 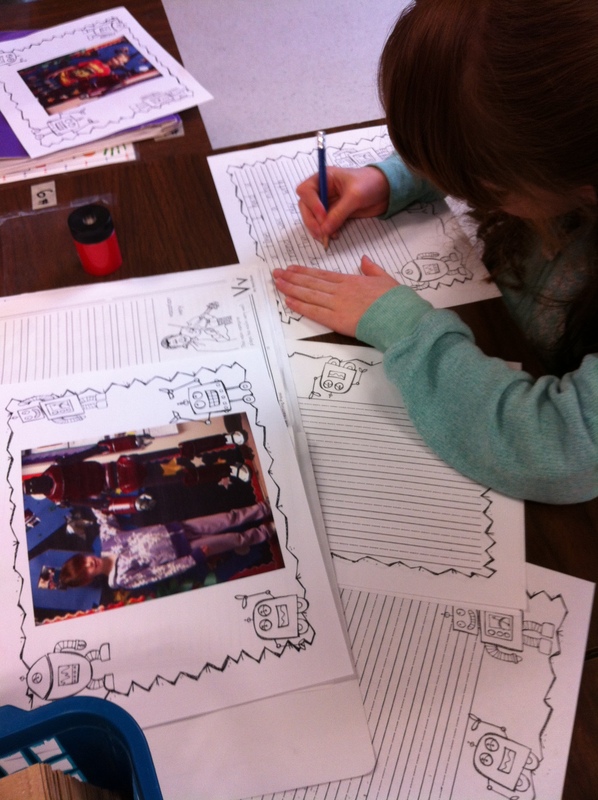 Then we wrote stories about our robot pal! 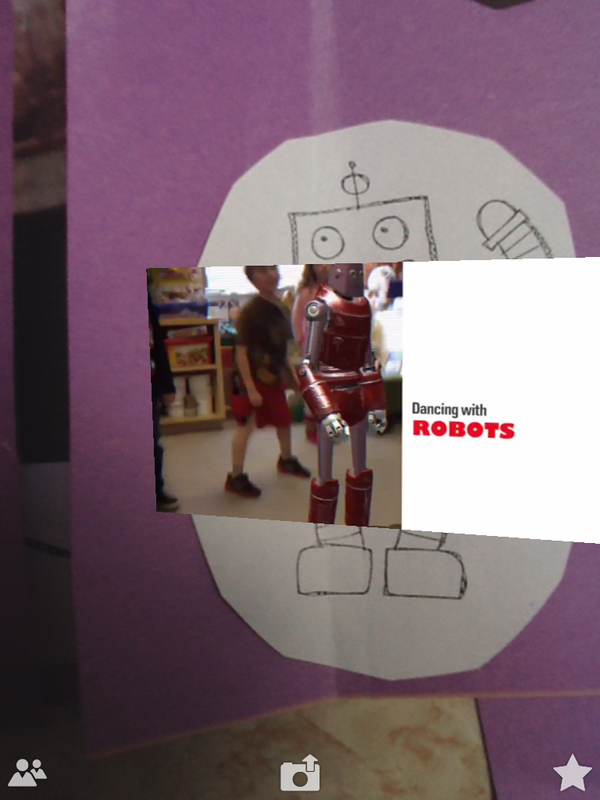 We wrote and we wrote and we wrote! 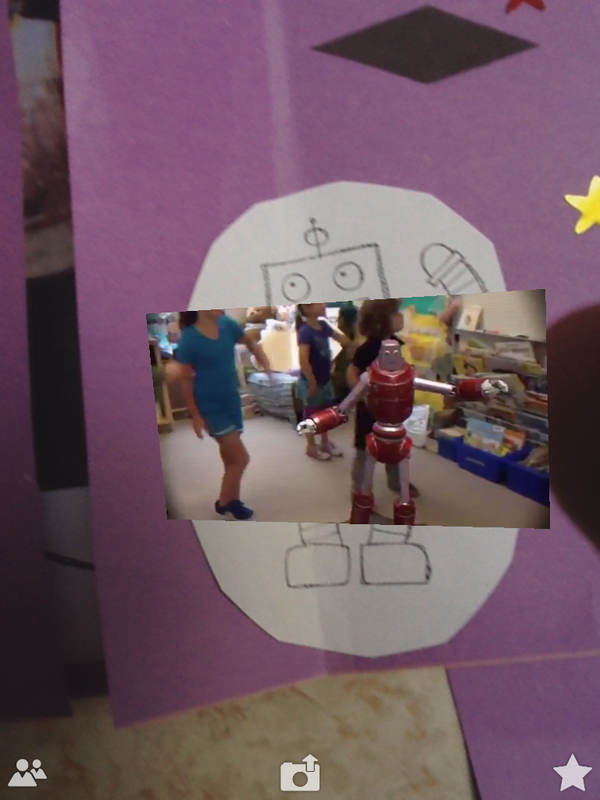 Then we made special robots to display our robots! 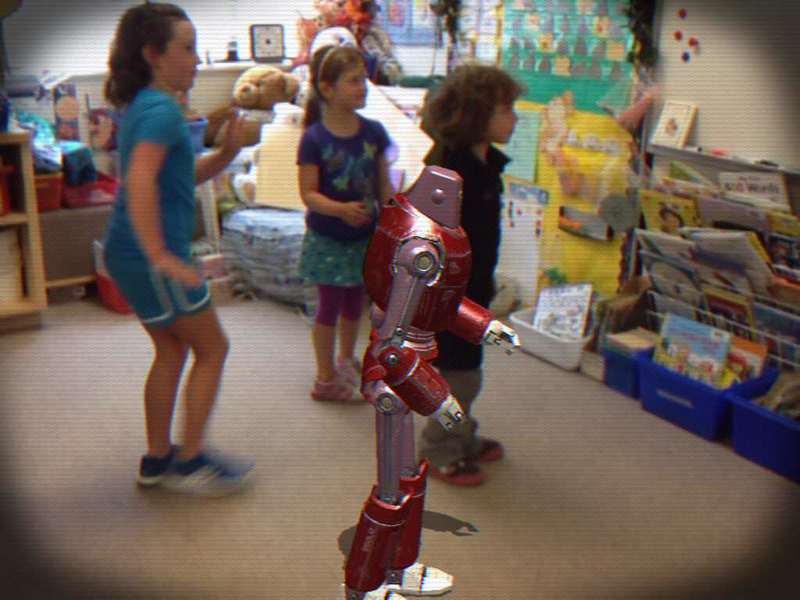 Dancing with robots is a lot of fun!